It's sleek and shiny and cool to touch, but the Mazda3 sure looks like it's got undeniable soul-that is, the 'soul of motion'. The hotly anticipated compact car is finally upon us. 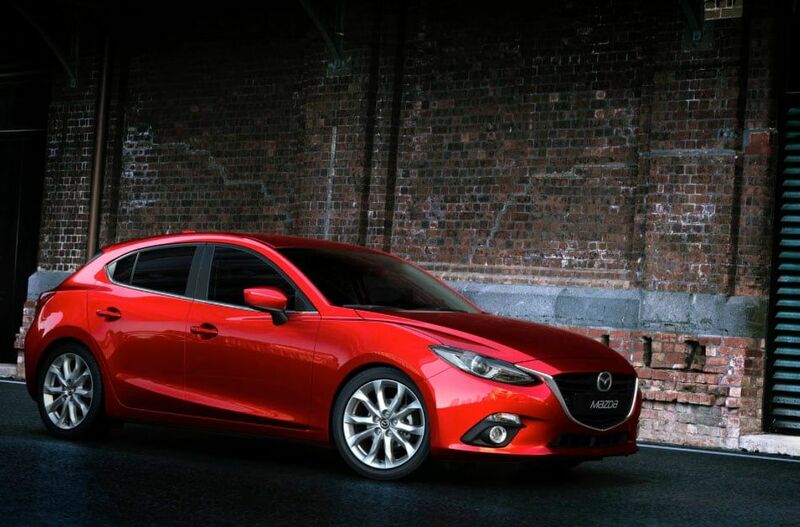 Thanks to the KODO design language (employed gorgeously on the outside, it's easy to imagine the moving car flexing its shape against any resistance) and SKYACTIV technology (applied within, it enhances fuel efficiency and performance despite weight decrease), the Mazda3 certainly looks and performs like the aerodynamic gem it is. The first vehicle to feature our new Active Driving Display, staying informed about speed and directions while keeping your eyes on the road has never been easier. Not only informed, but you'll also be entertained, courtesy of the new Bluetooth® connectible technology for your smartphone and an optional Bose® audio system with virtual surround sound playback. A Shout function keeps you up to date on social media, in addition to navigation and location search. It's an automobile, personal assistant, and luxurious refuge from the everyday bustle in one. Prices to come but in the meantime enough guesswork. Now to play the waiting game.